Total Divas returns next week on E!, and the show’s official Twitter account shared a video of Alicia Fox hyping the return of the show. Looks like she’s letting a little bit of her crazy back out. Yes, please! Natalya sure has a lot of pro wrestling friends. The Diva paid a visit to former TNA Knockout ODB at her trailer this week. 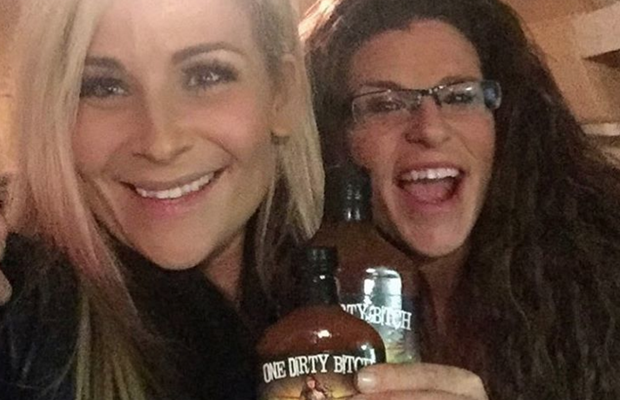 Hey Nattie, how about bringing us some of that BBQ sauce you’re talking about? Sounds delish! WWE kicked off its tour of India this week and shared a pic of the Divas Champion shopping for saris and jewelry to accessorize her belt with in New Dehli. Looking like a champ, Charlotte! A #braniel selfie for hitting 3 mil!!! ?3? ?